We have identified a potentially hazardous issue with the PocketWizard® PowerMC2 receiver when used in combination with the Paul C. Buff Einstein™ E640 flash units, especially the CE/433 MHz version sold in Europe. You may have received a previous message from Paul C. Buff, Inc. regarding this issue. In rare circumstances, if the PowerMC2 is connected to the Einstein flash and the Einstein flash is connected to a power outlet, exposed metal components like the USB port or antenna spring on the PowerMC2 can become electrified, posing a potentially serious shock hazard. 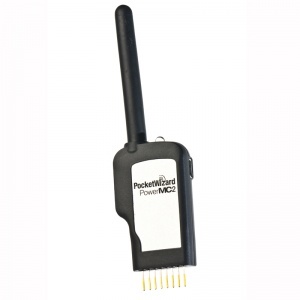 If the PowerMC2’s antenna cover is broken, removed, or in any way damaged, DISCONTINUE USE IMMEDIATELY and contact PocketWizard. 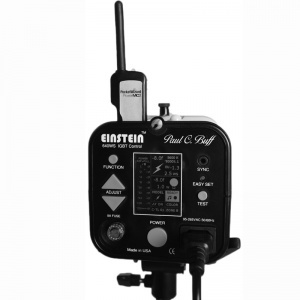 Customers in the United States may continue to safely use the Einstein flash and PowerMC2 with the power cord supplied by Paul C. Buff and a properly wired USA-style three-pronged power outlet (NEMA 5) or with the Vagabond battery pack. If a properly wired NEMA 5 power outlet is unavailable in your location, ALWAYS UNPLUG THE FLASH PRIOR TO HANDLING THE POWERMC2. The issue has been corrected for all PowerMC2 units sold by PocketWizard’s authorized distributor in the USA after February 15, 2014. Customers owning affected units are advised to immediately contact PocketWizard Technical Support toll free at +1 877-393-0045 or via our inquiry page to arrange for the return of affected units for free servicing to reduce the risk of electrical shock. We urge you to contact us regardless of the condition of your PowerMC2. We greatly apologize for this inconvenience. All units with the CE logo on the back, or any serial number beginning M2Cxxxxxxx are affected and correctable. Units with the FCC logo on the back and with a serial number M2U192000 or lower are affected and correctable. Units sold by PocketWizard’s authorized distributor in the USA after February 15th, 2014, or have serial number M2U194000 and higher, already have corrective safety features and warnings installed. Identifying features are “www.pwpatents.com” on the serial number sticker, and/or a yellow warning label. The PowerMC2 Receiver Module enables remote power control of Einstein™ E640 flashes using PocketWizard ControlTL technology. With a MiniTT1 Transmitter or FlexTT5 Transceiver on your camera and a PowerMC2 plugged into your Einstein™ E640 flash, you can now adjust the flash power settings directly from the camera position. Add the AC3 ZoneController and you can control three different zones of lights in 1/3-stop increments with up to a six-stop range. Utilize PocketWizard’s unique features such as HyperSync and Optimized Rear Curtain Sync for maximum control of your lighting. When connecting the PowerMC2 to the PocketWizard Utility, make sure to disconnect the PowerMC2 from any attached flash first. Do not connect the PowerMC2 to USB while also connected to the Einstein E640 flash. Damage to your PowerMC2, Einstein, or Computer's USB port could result. 1. Connect the PowerMC2 to your Einstein™ E640 Flash via the remote port, then power on the flash. 2. Select the Channel and Zone A, B, or C via the E640’s LCD. 4. Adjust the camera’s Flash Exposure Compensation (FEC) to adjust the power of your remote flash. See the Basic Power Control section for more information about FEC. Make sure all your radios are set to the same PocketWizard Channel. If you are using Standard Channel radios, the Einstein's LCD will display CH01 (for example). If you are using ControlTL Channels, the Einstein's LCD will display CTL01. Momentarily pressing TEST will test trigger the flash. Your PowerMC2 needs to be on the same channel as your transmitter. Channels can be set via the Einstein’s built-in LCD. The PowerMC2 is capable of receiving on either ControlTL Channels (CTL) for use with ControlTL radios like the MiniTT1 and FlexTT5 or Standard Channels (CH) for triggering with the Plus II, MultiMAX, and Sekonic meters. To set the channel, press the Einstein’s™ FUNCTION button until the Channel selection box is highlighted, and then change channels with the ADJUST buttons. Press the FUNCTION button again to specify a zone. When using ControlTL Channels or Standard Channels 17-32, you can specify zone A, B, or C.
Note: When receiving on Standard Channels, the PowerMC2 will be unable to do any form of PowerTracking, or remote Manual Power Control. You must be using a ControlTL radio in ControlTL radio mode for the Einstein to be able to engage in any form of ControlTL feature. Having trouble with your PowerMC2? Check out our PowerMC2 FAQ page! Adjust the manual power settings of your remote Einstein flash directly from a AC3 ZoneController, or master flash mounted on your on-camera MiniTT1 or FlexTT5. You can independently control the power output of up to three remote groups of lights (you can have as many lights in each group as you want) from full power down to the lowest setting through the user interface on the back of the master flash or with the dials of the AC3 ZoneController. Now you can work with total control with your remote lights, without leaving your shooting position. Our patent pending HyperSync® technology allows photographers to achieve faster X-sync speeds with full power flash. That extra speed can be used to freeze action or cut ambient light - both of which can produce results never possible before. HyperSync works automatically with the PowerMC2. All you need is a MiniTT1 or FlexTT5 on camera to gain the benefits of HyperSync. While performance varies by the camera and flash equipment being used, HyperSync will get the maximum possible out of any configuration. Note that Flash Exposure Compensation can also be dialed in on a per-flash basis, by changing the PowerMC2's settings in the Exposure Tab of the PocketWizard Utility. With only a MiniTT1 or FlexTT5 on your camera, your camera’s FEC (Flash Exposure Compensation) control will adjust your flash power output level for all your PowerMC2-connected flashes as shown in the table below. Zone Select Switch A-B-C Plus channel "D" if receiving on a MultiMAX channel. DO NOT CONNECT RADIO TO USB WHILE ALSO CONNECTED TO EINSTEIN FLASH. This page was last modified on 1 December 2015, at 09:06. This page has been accessed 165,877 times.